Arranged by Robert Garofolo and Garwood Whaley. 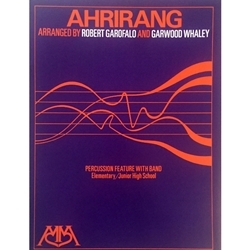 This familiar Oriental folk melody is arranged here as a percussion feature with band. The pentatonic melody is passed around through all the sections of the band and there are optional vocal parts for an added unique effect. The flexible percussion feature section allows you to customize the arrangement and add as many instruments as you like.